Professional, streamlined businesses are all about efficiency. This is where the Avision AM3100 series come in. Combining monochrome laser printing, copying and color scanning into one unit, the AM3100 series do away with the need for three separate machines, bringing cost-effectiveness and productivity to your office. The AM3100 series delivers high quality in copying and printing, with speeds at 16 cpm and 16 ppm respectively. Thanks to our cutting edge technology in image scanning and processing, the AV3100 series incorporates industry-exclusive -de-moire- technology to remove dot matrix, optimizing visual output for texts and images alike. With such superb all-in-one capabilities, the AV3100 series gives you an unsurpassed edge in carrying out all your business related tasks. 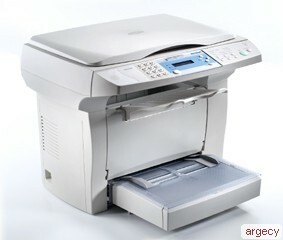 The AV3130L comes with fax functions built-in, and has an ADF (50 sheet capacity) add-on option. *The specifications shown at this page may differ depending on your computer.